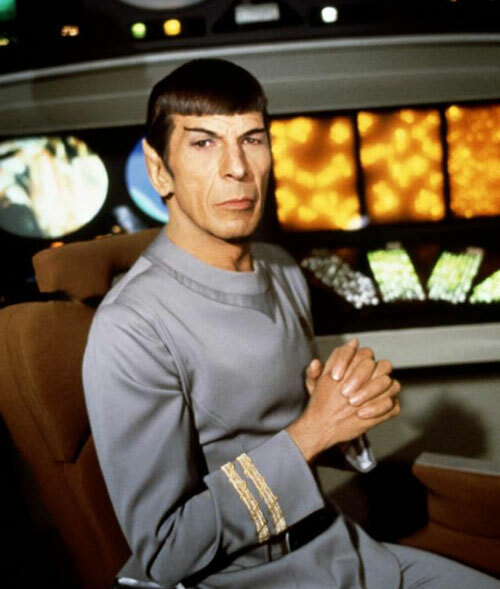 Today marks the 82nd birthday of actor Leonard Nimoy, the first, best and only Spock. Without Star Trek, I wouldn't be the guy I am today, and without Nimoy's Spock, there wouldn't have been a Star Trek - at least not the one we know today. As I've said before, in the mid-90s, I had the great honor to collaborate with Mr. Nimoy ("Call me Leonard.") on a comic book project, and it's one of my most treasured personal & professional memories. Happy birthday, sir! 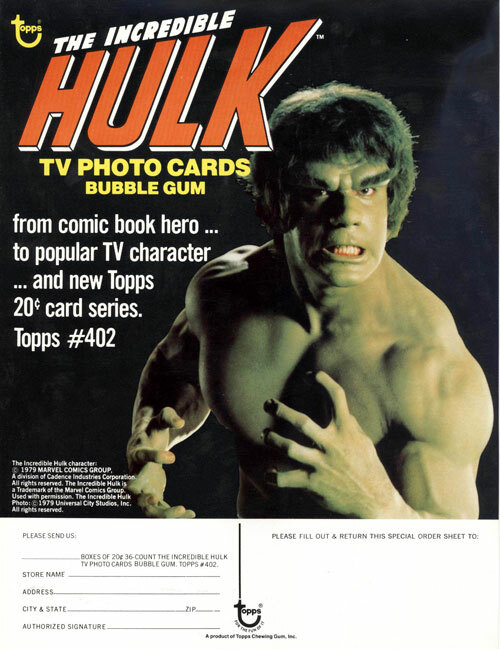 I collected a lot of Topps bubblegum cards back in the 1970's. 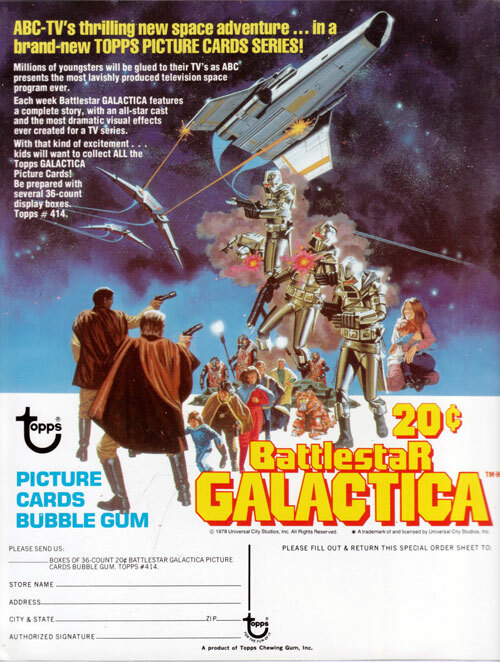 I had tons of Star Wars cards (blue, red, yellow and green series) almost all of the Galactica cards (and still have most of them), and a small stack of Buck Rogers cards. 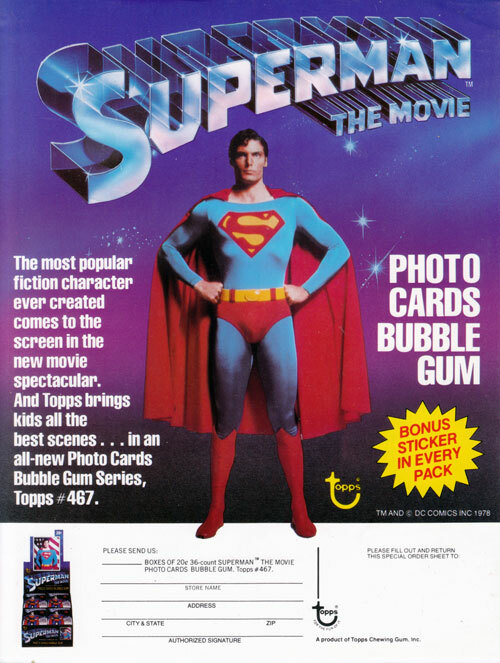 I didn't collect the Superman or Hulk cards, but I seem to remember buying some Star Trek - TMP sets. 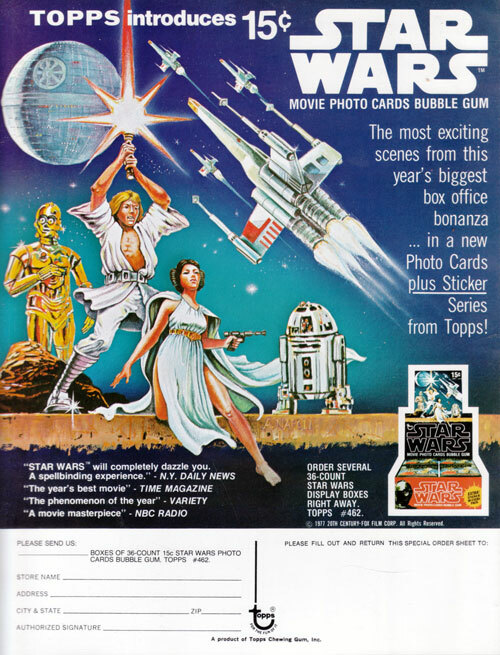 Anyway, here, courtesy of Star Kid (and Dark Shadows aficionado) Cousin Barnabas (of the Collinsport Historical Society), are a selection of colorful promotional flyers produced by Topps to interest retailers in carrying their various Space: 1970-era photo cards. Enjoy! 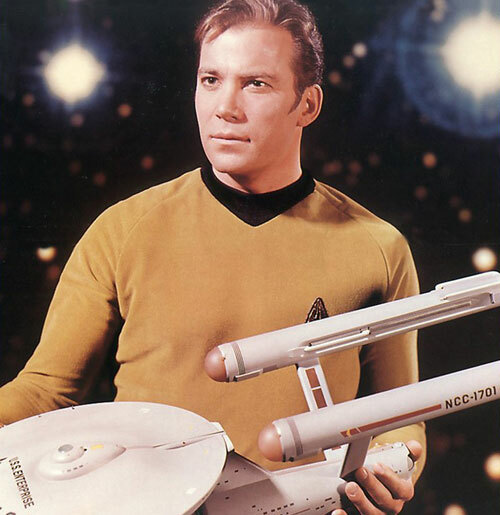 As we do every year, Space: 1970 once again wishes the very happiest of birthdays to the first and best James Tiberius Kirk - William Shatner. He was my first space hero and the creative trek he launched me on continues today - and every day - here on this blog... and in my personal and professional endeavors. 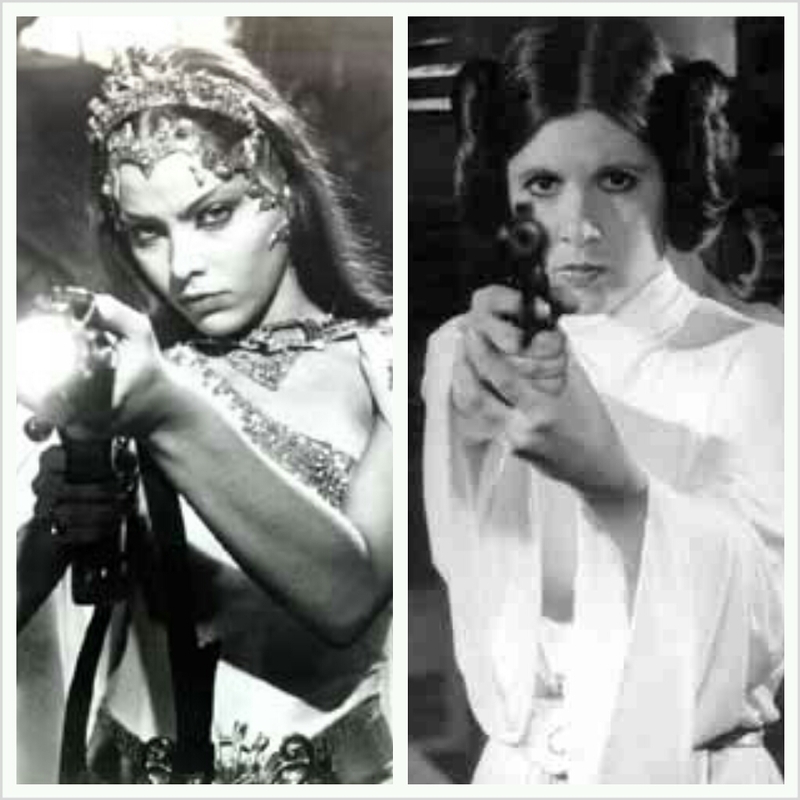 Well, we're long overdue for another Space: 1970 Poll, so here's the first one of 2013: "Which 70s Space Princess Was The Sexiest?" You'll find the poll itself over at the top of the right-hand sidebar here on the blog, and, as usual, feel free to explain your vote in the comments or berate me for failing to include your favorite! 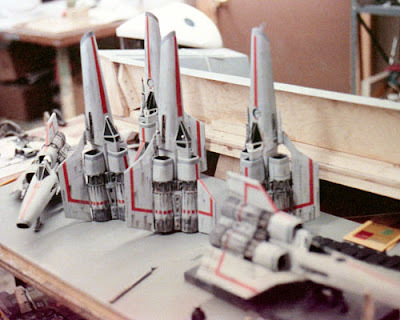 A squadron's-worth of Colonial Viper miniatures await the call to combat in Universal's Battlestar Galactica at John Dykstra's Apogee model shop, circa 1978. • March has gotten off to a bit of a slow start, but I'm hoping to get back to regular posting here next week. 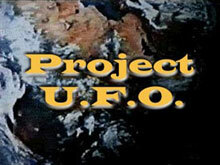 Look for reviews of The Questor Tapes, The Aliens Are Coming and the Cathy Lee Crosby 1974 Wonder Woman TV pilot on the site in the next few weeks, along with the usual mix of sci-fi memorabilia, and vintage video clips. 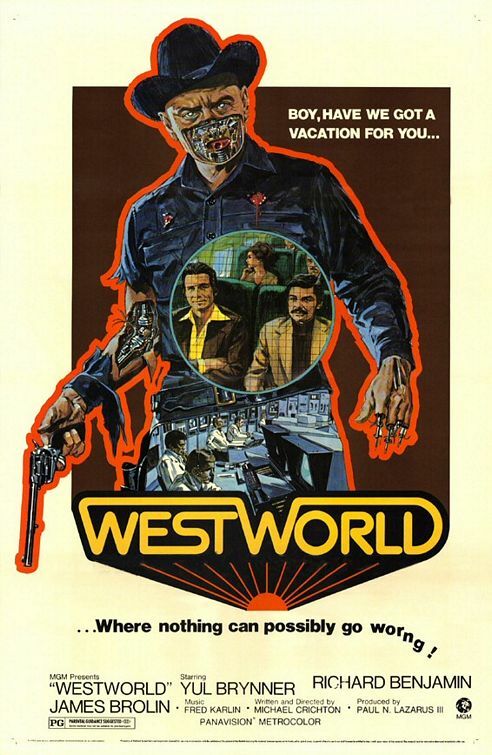 • I picked up Warner's Blu-ray edition of Westworld on Tuesday, and it's a very nice disc, with a fine HD transfer of Michael Crichton's seminal sci-fi film. It had been a few years since I'd seen it, and I'd forgotten that Majel Barrett (Star Trek) and Jared Martin (of The Fantastic Journey) had small parts in the movie. 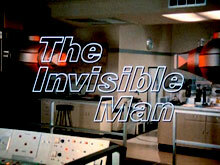 I also found it amusing that Alan Oppenheimer, the original Dr. Rudy Wells from The Six Million Dollar Man, played the Delos supervisor responsible for the androids. The inclusion of the Beyond Westworld pilot (as I reported a few days ago) on the disc was a nice bonus, and I encourage anyone who'd like to own the entire short-lived series to visit the Warner Archive Facebook page, and make a public request. If they get enough interest, I think chances are good that they'll release it as a MOD disc. I'll be posting a full review of the Westworld Blu-ray on my DVD Review site, DVD Late Show, early next week.... and it probably should go without saying that I'm looking forward to Shout! Factory's forthcoming Futureworld Blu-ray release, due out later this month. 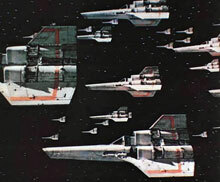 • Stats: It's been a while since I've looked at the numbers, but when I checked today, I was pleased to find that the Star Kid Legion continues growing at a formidable rate! 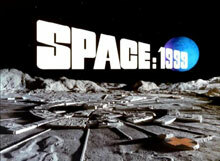 The blog here now has over 500 followers, and the Space: 1970 Facebook page currently has1,264 "Likes!" 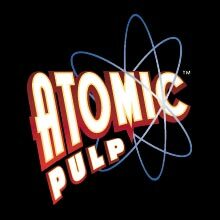 On Twitter, under my "AtomicPulp" handle, I've just passed 400 followers, many of whom are there just for the blog updates, I'm guessing. • Blatant Cross-Promotion: First, I want to remind you all that my new weekly sci-fantasy webcomic, Perils On Planet X, drawn by the talented Gene Gonazles, can be read for free at perilsonplanetx.com. This serialized interplanetary swashbuckler sees a new page posted every Friday, and chronicles the adventures of modern-day Earth astronaut Donovan Hawke, stranded on the lost planet of Xylos, hundreds of millions of years in the past. 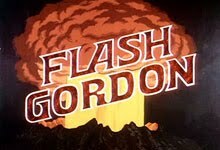 The story is packed with monsters, beautiful women and lots of Flash Gordon/Blackstar-styled thrills. I hope you'll check it out, bookmark it, and follow the comic each Friday. 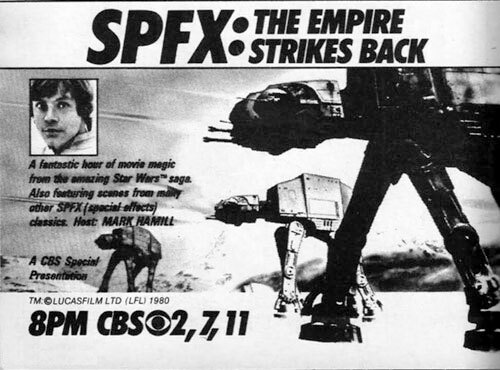 Before exhaustive DVD/Blu-ray bonus features and entire television channels devoted to peeling back the behind-the-scenes process of filmmaking, the only glimpses fans had into the real-world of movie special effects was through occasional Starlog features and other magazine articles, and the rare prime-time network television special - such as this 1980 TV event designed to promote the first Star Wars sequel, The Empire Strikes Back. Hosted by Luke Skywalker himself, Mark Hamill, we were given a full hour of lovingly photographed miniature spaceships, stop-motion Tauntauns (and Imperial Walkers), and so much more. 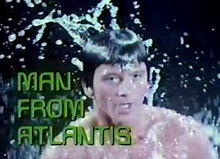 A genre fan himself, Hamill brought a lot of natural enthusiasm to his hosting duty on this documentary special. 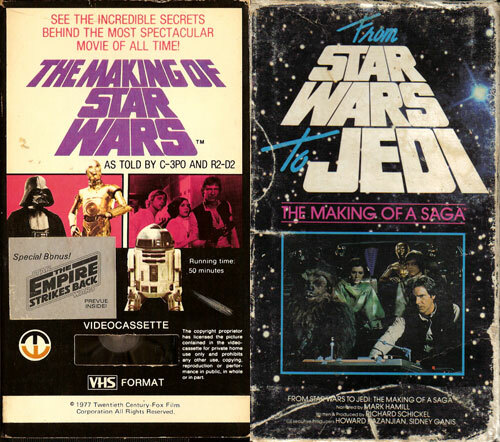 I'm pretty sure (though not 100% certain - I couldn't find a scan of the tape box) that this special got an 80's VHS videotape release along with the Star Wars and Return Of The Jedi TV promotional specials. This commercial is from the mid-to-late Eighties, but I wanted to share it here. I was one of those guys who joined this "club," and I eagerly looked forward to getting my new tape each month. After years of only seeing the shortened syndication prints, the appeal of seeing - and owning! 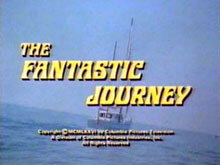 - all of the original Star Trek episodes in relatively pristine, uncut editions was irresistible. In fact, I had all of these tapes up until about a decade ago, when I simply couldn't justify the space they took and started picking up the DVDs. (I have the Blu-rays now, of course). The other appeal, of course, was the prospect of owning the entire series. 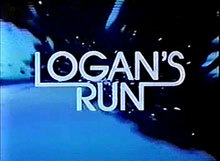 In the days before "Complete Season/Series" DVD sets, it was nearly impossible to collect complete runs of authorized, pre-recorded videotapes of your favorite cult shows. March's Space Babes are Deidre Hall and Judy Strangis as Electra Woman & Dyna Girl - two of the Seventies sexiest Saturday Morning superheroines! A sort of distaff take on Batman & Robin (by way of the campy 1966 television series), Electra Woman & and her teen sidekick, Dyna Girl, battled a bevy of colorful super villains every weekend with the help of their assistant Frank (Norman Alden) and the sophisticated, ray-projecting, "electra-comps" they wore on their wrists. 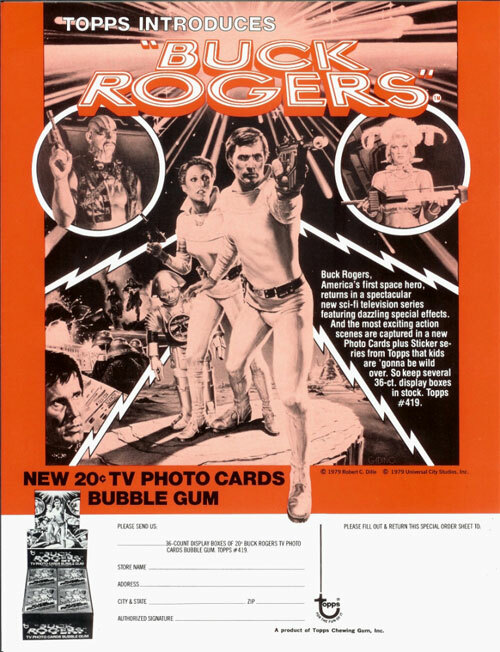 Part of Sid & Marty Krofft's 1976 anthology series, Krofft Supershow, the microbudgeted adventures of Electra Woman & Dyna Girl featured tiny sets, cheap video effects, ridiculously over-the-top performances, and an awesome theme song. Electra Woman was played by the lovely Deidre Hall, an iconic soap opera actress best known for her 40+ year run on Days Of Our Lives. Born in 1947, the actress worked as a model and in commercials before landing the Electra Woman role and - right around the same time - her part on Days Of Our Lives. Cute teen sidekick Dyna Girl was portrayed by the pouty Judy Strangis, who was only a couple years younger than her co-star. 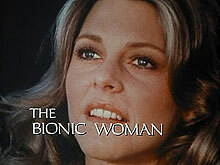 She had been a regular on the television series Room 222, and was a popular TV guest actress during the early 70s. But, according to the IMDb, she had an unfortunate experience with a stalker and retired from "face" acting; she has been doing almost exclusively voice-over work ever since. 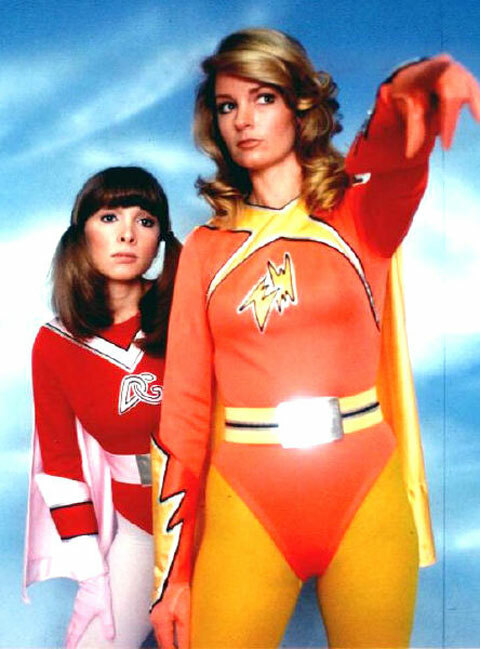 There were only 16 episodes of Electra Woman & Dyna Girl produced, but I remember watching it every Saturday. 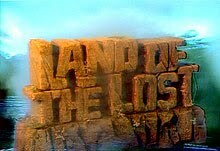 Back then, I didn't notice the cheapness of the production, all I cared about was seeing the two pretty young women in their colorful costumes shooting laser beams from their clunky wrist communicator/computers. 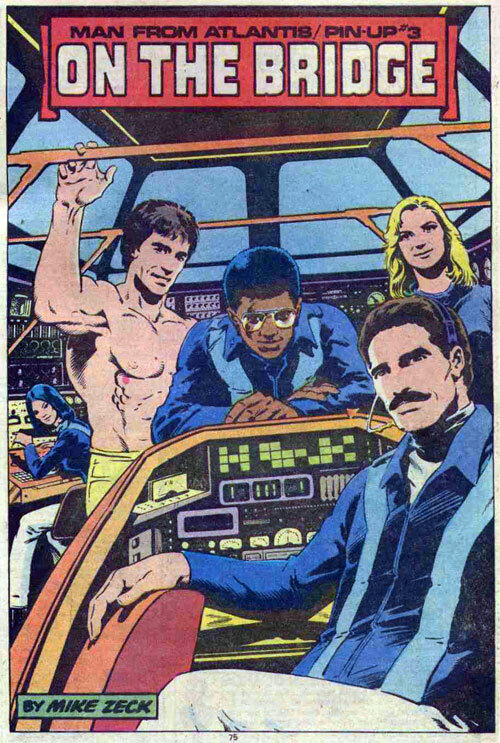 From the first issue of Marvel Comics' Man From Atlantis comic book (dated February 1978) comes this pin-up portrait of the crew of The Cetacean submersible by the great Mike Zeck. I like it, but I'm not sure who he was using as a model for Dr. Elizabeth Merrill - it's certainly not Belinda Montgomery!